Sodium and potassium are essential for human health. They are important ions in the body and are associated with many physiologic and pathophysiologic processes. The chapter summarizes the basic physiologic actions of sodium and potassium on membranes of the neurologic and muscular systems. 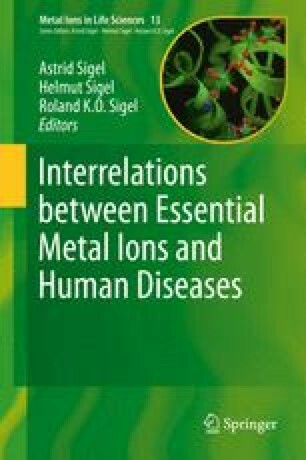 It provides information regarding the kinetics, i.e., absorption, distribution, and excretion of these ions and their movement between the intracellular and extracellular compartments. It also explains the physiologic systems that can influence proper homeostasis between sodium and potassium. Concentrations of sodium in the blood that exceed or do not reach the normal value range are called hypernatremia or hyponatremia, respectively. Similarly, the clinicians recognize hyperkalemia and hypokalemia. Pathologies associated with these states are described and examples of some of the diseases are presented here. J. L. Lewis, III., Water and Sodium Balance, in The Merk Manual for Health Care Professionals, Eds R. S. Porter, J. L. Kaplan, Merck Sharp & Dohme Corp., Whitehouse Station, NJ, 2012, 1. http://www.merckmanuals.com/professional/endocrine_and_metabolic_disorders/fluid_metabolism/water_and_sodium_balance.html.